Product prices and availability are accurate as of 2019-04-22 06:26:34 UTC and are subject to change. Any price and availability information displayed on http://www.amazon.com/ at the time of purchase will apply to the purchase of this product. Multi spice pack. Includes paprika, curry, cayenne garlic salt, black pepper and salt. 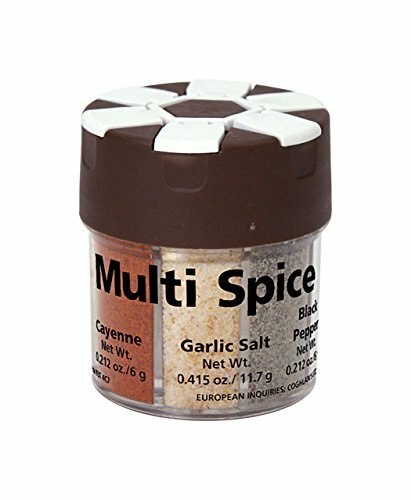 Each spice has its own flip top shaker lid so they will not mix.